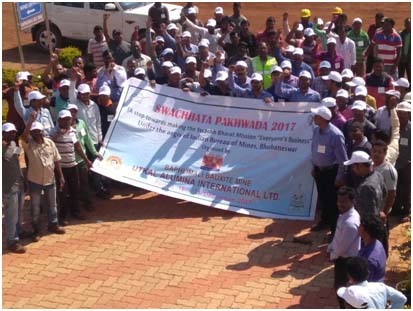 Bhubaneswar : One Cleanliness Drive Swachhata Pakhwada 2017 has been celebrated with great fan fare at the Baplhimali Bauxite Mine of M/s Utkal Alumina International Limited (an unit of Aditya Birla Group) at Kashipur block of Rayagada district from 16th December 2017 to 31st Dec 17. As per the instruction of Indian Bureau of Mines, Bhubaneswar, this programmewas celebrated from 16th December to 31st December 2017. This programme aimed at a comprehensive effort to bring a clean & healthy environment in & around the mining area. 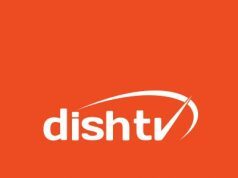 This programme is a part of Swachha Bharat Mission of Govt of India that seeks the quality of life of the common people. Under the guidance of Vice- President- Mines, Mr. Biswaranjan Kumar Padhi, GM- Mines, Mr. MukeshJha, GM- Geology, Mr. Diptendu Mishra & GM- Admin. & CSR, Mr. Siba Mahapatra, this programme is being celebrated at Mines and nearby villages by conducting different activities like Cleaning, Rally, Street Play, dissemination of Swachhata Massages by Banners & posters, essay & speech competition among mines workers & school children to aware about swachhata to human life. This programme was inaugurated by flag hoisting&a Oath taking was made among workers to spend two hours in a week & 100 hrs in a year towards swachhata. All these programme were conducted by Mr. Sukanta Mahapatra, Mr. Pradyumna Das, Mr. Purna Sahoo, Mr. Purusottam Dandia, Mr. SusantaDhal , Mrs. Nirupama Barik & their teams.